It’s kind of fitting that my first blog post of 2015 is on a Thursday. As I sit here about to write my final 3 Things Thursday post for 2014, I realize it’s been a pretty great year! We all have our ups and down but overall, so many great things have happened. I’ve done some reflecting on who I am and the kind of person I ultimately want to be. I’ve met some amazing people and developed new friendships. I’ve continued to grow and improve my blog which has become my passion. My family and is growing and changing as well and I love seeing that. Most recently, I started a new business venture, SABN with my good friend Raj. I feel like 2015 is going to be a really exciting year and I want to make sure to start off on the right foot. This year, I’m not going to make any resolutions. 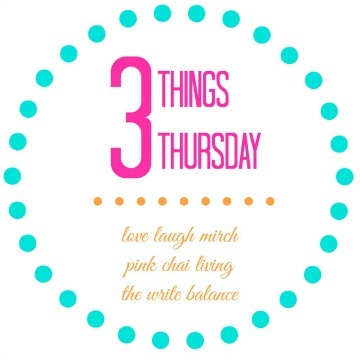 Instead, I’m going to make some goals for myself which I will share in today’s #3ThingsThursday. I recently (co)launched a new project, the South Asian Bloggers Network. It’s something I’m really excited about and I know it’s going to be successful. It’s the first of it’s kind and there is a need for it. My big goal and focus for 2015 is to do everything in my power to make sure it follows the right path and becomes the success I know it can. It’s funny, because I’ve never been someone who wanted to own my own business. I was happy working at a TV station, getting to be creative, doing what I loved and letting someone else call the shots. but I guess as life moves forward, what we want from life changes as well. This new role has me thrilled, challenged and rearing to go! I can’t wait to see how it all plays out in the new year. I have a lot in my life to be happy about and I usually share it with you on this blog. However, there is a part of me that is often discontent. I get upset or snappy or just down and it doesn’t really make sense. I don’t share that part of my life because I want this to be my positive space on the internet. But it is still something that I am trying to figure out because really, what more do we want from life than to be happy? This year, I also want to give myself more guilt-free me time. I don’t really have a lot of friends to hang out with since moving back to Vancouver from Winnipeg. I don’t go for pedicures which I love and I rarely go out and do something for myself except when I go to the gym. It’s going to be different in 2015. I’m going to make more of an effort to see friends and acquaintances in real life, I am going to go for a pedicure or a coffee myself more often and most importantly, I’m going to do it guilt-free, at least I will try. I’m not the perfect mother by any stretch of the imagination, but I do as much as I can for and with the kids, so I know it’s okay to take a break and take care of me more than once in a while. Those are my three goals for 2015. Do you you have any goals that you would like to accomplish in the New Year? Maybe one of them is to link up with us for #3ThingsThursday! That one I can help you with. Just write a blog post about three things you want to share, from your week or from the year. Grab the badge from the top of my post. Make sure to link back to either myself, Salma at The Write Balance, Raj at Pink Chai Living or Nisha at Love Laugh Mirch. Then click on the linky below to add your post. It’s that simple. I can’t wait to read your post. I love this post! Congrats on SABN – I’m really excited to see it grow!! 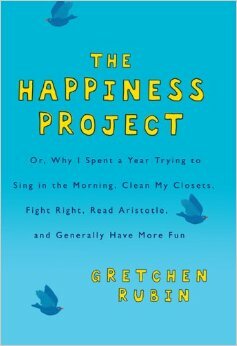 And I’m so glad you’re getting The Happiness Project. Let me know what you think of it! If I can help with #3, I’d love to 🙂 One thing I want ‘more’ of in 2015 is the same: ME time without guilt. And that includes hanging out with the amazing friends I have made online and the ones who have been with me since before the internet came along! Happy new year, Salma! Thank you Sarita, Happy New Year! What an inspiring post Salma! Just setting your goals and working on achieving them is a great start 🙂 So happy for you! Many blessings to you and your family in 2015! Thank you so much Joan! Best to you and your family as well. 3. work on my anxiety which I guess ties in with #1. Great goals Gina, thanks for sharing them. Good luck for 2015. 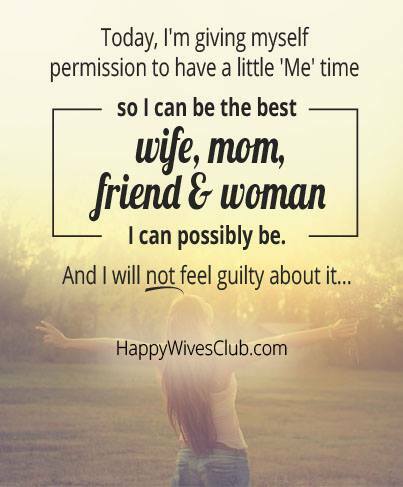 Ah yes, guilt-free “ME” time- that’s something I also hope to have a lot more of this year! Especially sewing and quilting – one of my favorite things to do, that’s like therapy for me! I hope you get lots of me-time this year too! Hey Salma, I didn’t realize you were a fellow Vancouverite! Those are some great goals you have shared. You have it exactly right Jennifer! Write a blog post with your three things, somewhere in your post, link back to myself and then yes, click on Add Link and you can add your post there. Can’t wait for you to link up. Happy New Year! We have the same in common, I knew 2015 is a huge success. I claim it! I am still just starting the book but I have high hopes!